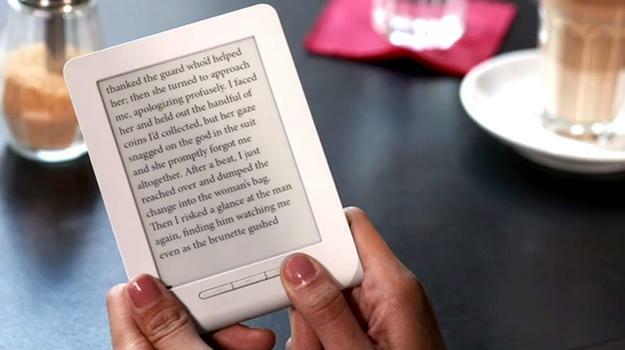 Berlin-based startup Txtr has announced the Beagle, a brand-new e-reader that could cause a shake up in its market to rival that of the Amazon Kindle Fire’s effect on cheap tablets. The headline is its projected cost, just 9.90 euros, or about $13. It’s difficult to imagine any piece of consumer electronics — decent consumer electronics — costing so little, and to bring the Beagle in at this price has indeed meant some compromises. Txtr says the Beagle is the world’s smallest e-reader, measuring 5mm thick at its slimmest point — it has a Galaxy S2-style bump, which we’ll come back to in a moment — and it weighs 128 grams. The screen is a 5-inch E Ink display with an 800 x 600 pixel resolution, and there is 4GB of internal memory. So far, so good. It gets better too, as it supports both .pdf and .epub book formats, along with all others normally supported by a smartphone, according to Txtr’s website. Here’s where things change, as the Beagle doesn’t have Wi-Fi, and instead uses Bluetooth to transfer books from a smartphone or Txtr’s own Android app. Because the Beagle doesn’t have an operating system of its own, it will rely on the accompanying smartphone app to do everything except turn the pages, right down to altering the font size. There’s also no built-in battery either, and that lump at the bottom of the device is for two AAA batteries. At first this sounds like a big problem, but Txtr says that two decent cells will provide a year’s worth of reading time, based on the average person reading 12 to 15 books. This also means there’s no charger unit or cables needed, and fewer components inside the device too. But does abandoning a rechargeable battery, Wi-Fi and ignoring new technology really mean an e-reader can be sold for so little? Sadly, the answer is no, as according to a report in Der Spiegel, the Beagle is going to be something called a “companion reader,” and will be sold as an add-on with a new smartphone contract. This subsidized pricing model means the price shortfall will probably find its way into your monthly payments. The device is still a prototype, and isn’t likely to launch anywhere except Germany this side of Christmas, plus Txtr doesn’t have the best track record with e-readers either, as a previous Kindle challenger failed to catch on. However, the Beagle’s bare minimum approach and stupidly low price are suitably different to anything else on the market, and the world does love a bargain. Are we looking at a future hit?